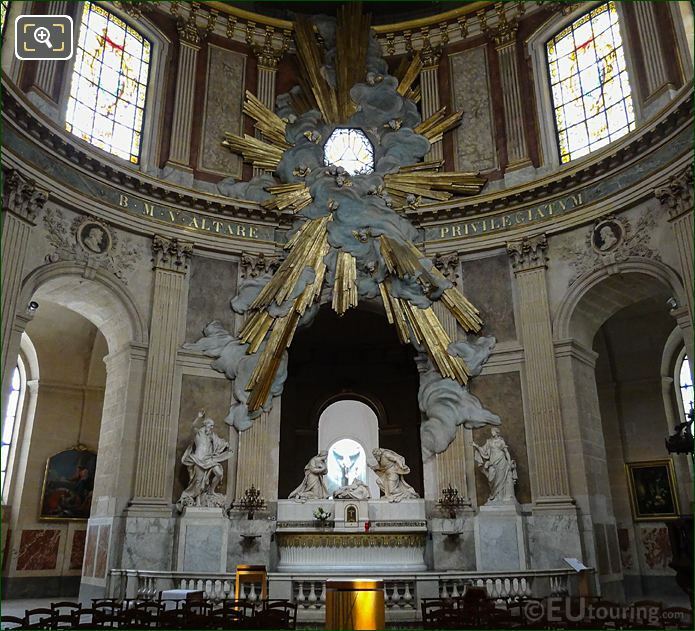 We were at the Eglise Saint-Roch in the 1st Arrondissement of Paris, when we took these high definition photos showing a statue called Sainte Barbe, or in English, Saint Barbara. 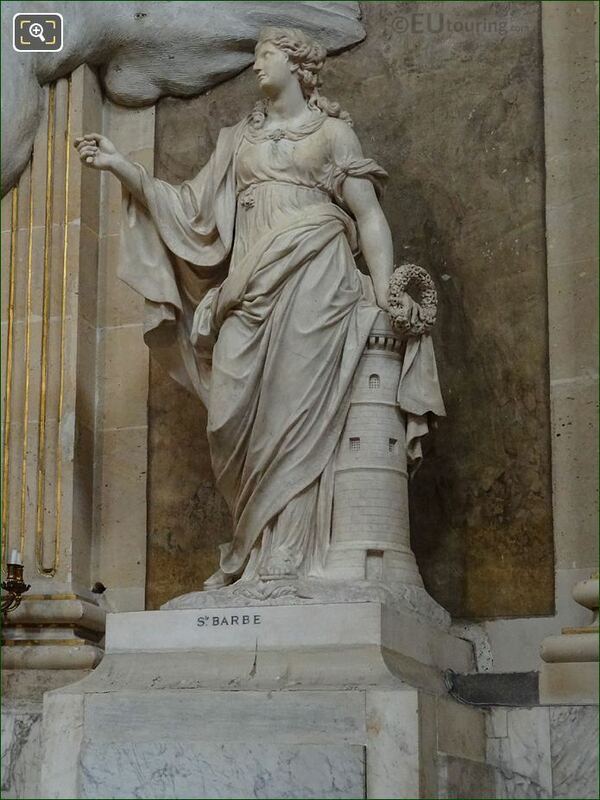 This first HD photo shows a statue made of marble that depicts Sainte Barbe, as you can see from the name inscribed on the base, yet in English this is spelt Saint Barbara, and throughout art, she is normally depicted with a miniature tower, as you can see here, which according to century old accounts was where she was a held prisoner by her father. Saint Barbara is also classed as a martyr, because she converted to Christianity while still locked up in the tower and devoted herself to God, refusing to marry, and although she escaped, she was captured and tortured, eventually being beheaded by her father for her faith, yet according to legend, he was struck by lightning and killed, so Saint Barbara became associated with explosions and fire and is referred to as the Patron Saint of firemen, miners, armourers and artillerymen. 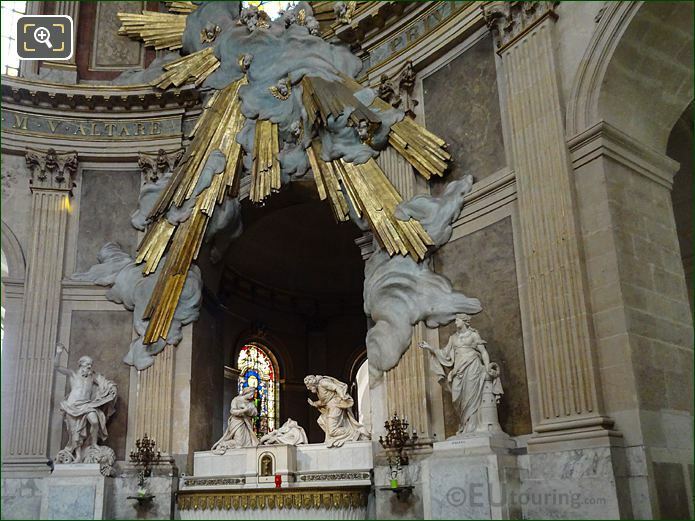 So here you can see that the statue of Sainte Barbe is positioned to the right hand side of La Chapelle de la Vierge, which in English translates to The Chapel of the Virgin, and this part of the historical Eglise Saint-Roch, located on the Rue Saint-Honore, was constructed during the early part of the 1700s by Jules Hardouin-Mansart. 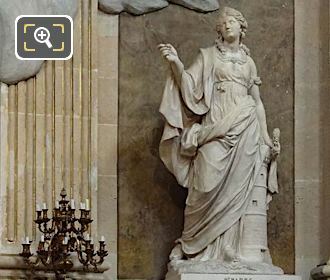 But unfortunately, we have been unable to find out who produced this statue of Saint Barbara, or exactly when this was sculpted, but we assume it was probably produced around a similar time to that of the statue you can see on the opposite side, which depicts Saint Jerome, within the first few decades of the 1700s. 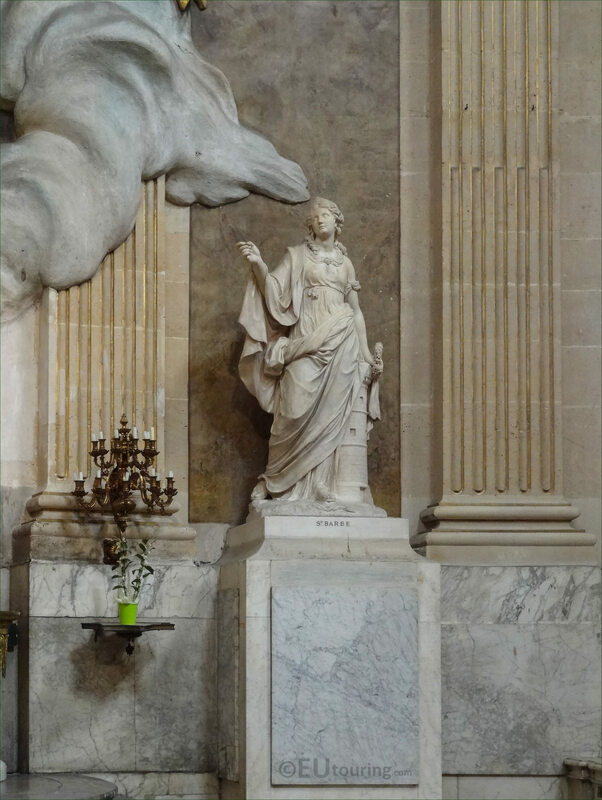 And although Sainte Barbe was removed from the General Roman Calendar in 1969 through doubts about the legend, she is still listed as one of the Catholic Saints, with her feast day being on 4th December, which is apparently the day she was martyred, however, Saint Barbara is still honoured and celebrated in many different countries throughout the world today.